1. 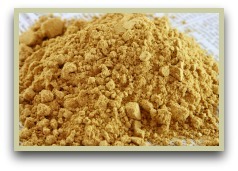 Spice Recipe Of The Month "Jamaican Curry Powder Recipe"
Whilst for maximum flavour when making your blends, I usually advise using whole spices, sometimes this is not always practical or you may not have them available. 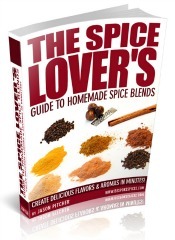 In these cases it's perfectly fine to use pre-ground spices. Lightly roast the coriander, cumin, peppercorns, cloves, fenugreek and allspice berries. Let these cool and grind along with the star anise and cinnamon stick. See cooking with spices for photos and tips on this. This curry powder is best stored in an airtight jar out of direct sunlight. This blend will last for a while, but I prefer to make a fresh batch every few months. 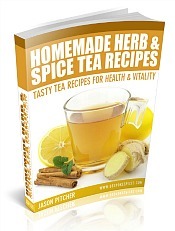 Click for some Indian style curry powder recipes. 6 months ago I had no idea about building a website. And now I'm sharing my herbs and spices knowledge and earning a few extra dollars along the way! I'd love to hear from you. Just use the contact form and tell me what you think. Please pass a copy to your friends and anyone who loves great tasty food without artificial colours, flavourings or preservatives. Would you like to build a website like this? Just click to see how! 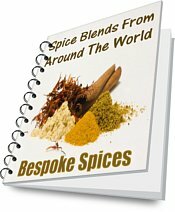 Get a FREE copy of "Spice Blends From Around The World"
I promise to use it only to send you Bespoke Spices - Flavour at Your Fingertips.